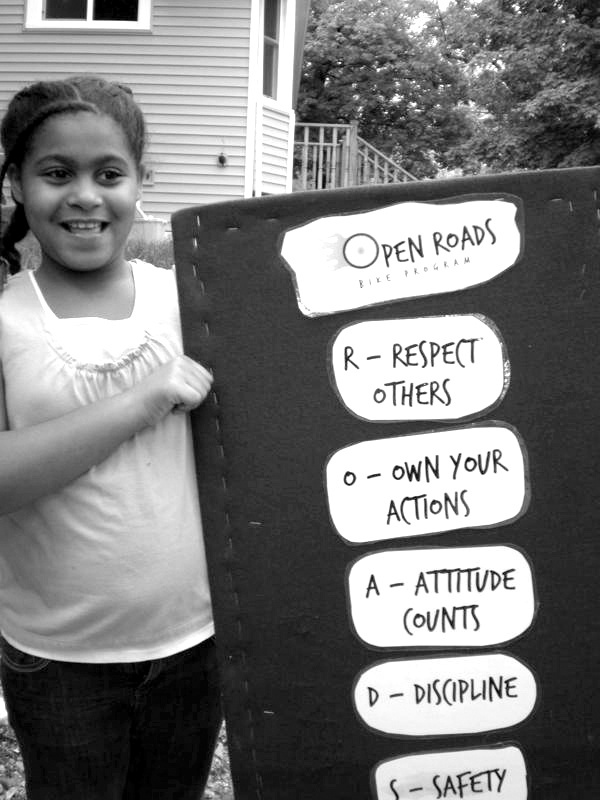 Ultimately, Open Roads Bike Program was an inevitable product of a childhood that was rich and bikeful. When I was about two years old, my father decided that we had had enough of cars. They were no longer a necessary part of our lives. 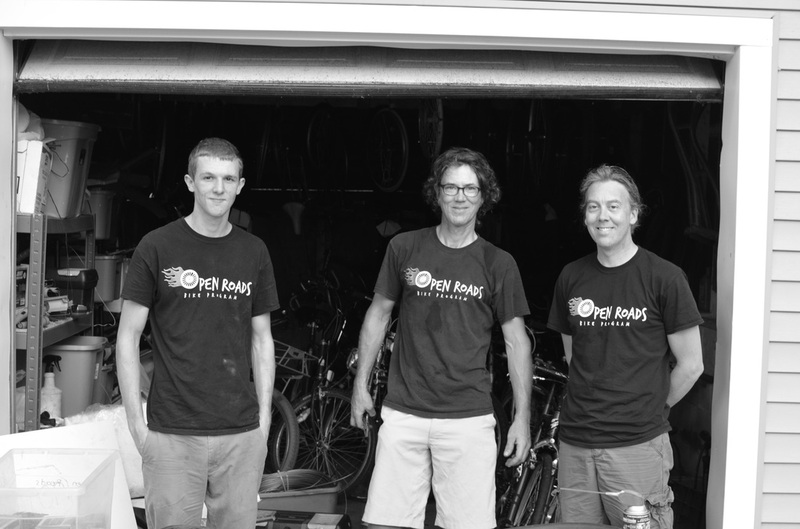 With two sons under 5 years old, living in Northern Michigan, he sold our car and bought bikes. Schwinn bikes. Cruisers. Made for moving, through sand, through snow, through anything. And so we lived. We had a bike trailer at first, then a tandem bike, then a triplet (1 vehicle 2 wheels, 3 seats) and ventually we moved to three bikes. We biked to school. We biked to the grocery store. We biked to friends’ houses. Twelve months a year. Through sun and rain and snow and wind. My dad was tough. As a matter of fact, he still is. 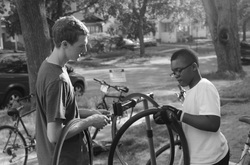 He, Henry Morgenstein, is a fierce advocate for a sustainable community that includes bicycles. He wrote columns in the local newspaper and spoke frequently on the radio, telling our community that bikes were the way to move in the world. ​And that is how we moved through most of my childhood. With bicycles. I learned quickly that this was a superior form of transportation, the ideal form of exercise, and a great means to building community. So, ever since then, I have been in love with bikes. I realized that the bicycle is not just a thing: it is a symbol- a symbol of independence, of freedom, of autonomy, and of joy. I began collecting bikes in my mid-twenties. Mostly Schwinns, I would store them in the basement. Eventually, I learned that I had a problem. Bikes were filling my basement and corners of my home. 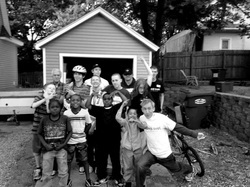 Through the Changemakers grant from the Kalamazoo Community Foundation, I was able to take this “problem” and make it into a program. 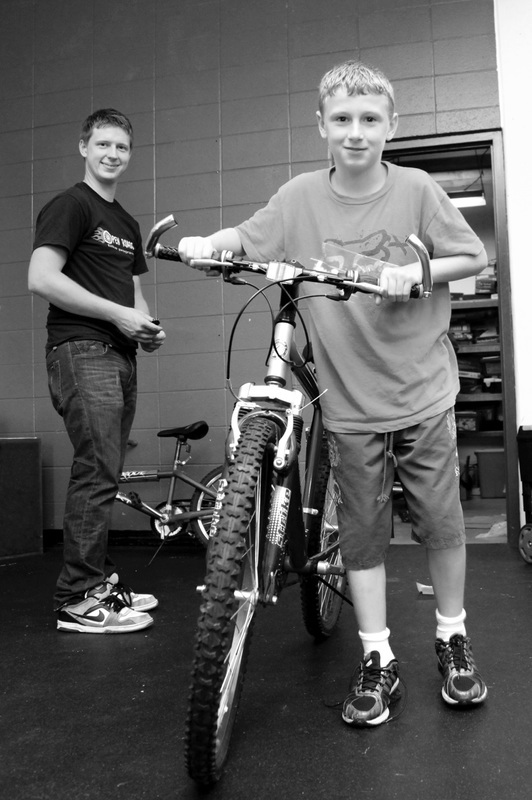 I had been working with youth for the past 10 years both in schools and in the community. Therefore, this was a natural extension of my interests and my career. 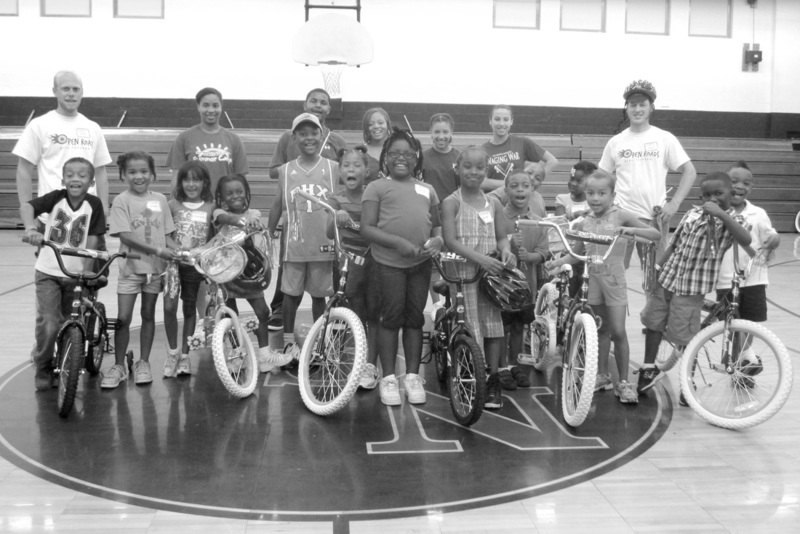 It started with four kids and two adults in a classroom at Kalamazoo College. Eventually it has grown into dozens of programs around Kalamazoo. From schools to garages to gymnasiums to a field in the Kalamazoo Nature Center, I think we have worked almost everywhere. 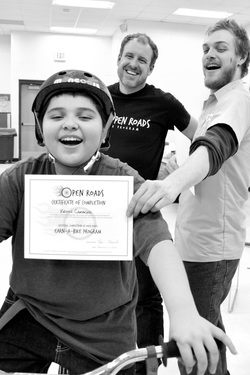 I am proud of every child that has earned their own bike through hard work and commitment. It has been a fantastic journey. We are growing and building great things. Grab your handlebars. Jump on. Come see where the Open Roads take us.